Overarching Question: How do you design a zoo enclosure that reflects the animal’s natural ecosystem? How do you collect and organize data from a field investigation on animal behavior? Ethologist, a scientist that studies animal behavior, categorizes behaviors and records them in a data table called at ethogram. What is an adaptation and how does this help with an organism's success and survival? An adaptation is something an organism HAS or DOES to help it survive. 1. Instinct is a behavior that the animal is born with. 2. Learned is a behavior that the animal is not born with and learns from their surroundings. How can you back up your conclusions with evidence from text, mathematical data, and observations? Review what we learned about Claims, Evidence, and Explainations from the last unit. We are going to make explainations AGAIN this time with Japaneese Macaques. What is the relationship between skull shape and what the animal eats? An anthropologist and a morphologist would answer this question. Louis Leaky, an athropologist, looks at fossils of humans and human like species. What was Jane Goodall's impact on the world? 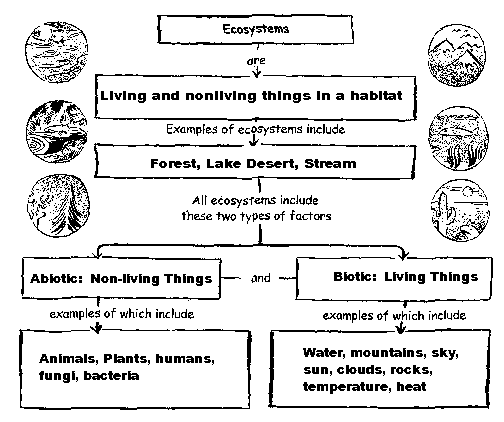 What is the difference between a population, community and ecosystem? What are the roles of producer, consumer, and decomposer? Every organism also has a niche in its habitat. 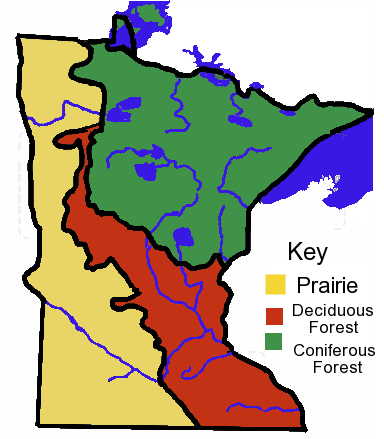 A niche is an organisms job or what the organism does in the habitat. No two organisms have the same niche. Producer: An organism that gets its energy from the sun, such as a plant. Consumer: An animal that eats another animal for energy and nutrients, they are at 3 levels. Primary Consumer: An animal that eats a producer (plant). Secondary Consumer: An animal that eats a primary consumer. Tertiary Consumer: An animal that eats a secondary consumer. Decomposer: An organism that gets its energy and nutrients from dead organisms and turns them into soil, such as fungi and bacteria. 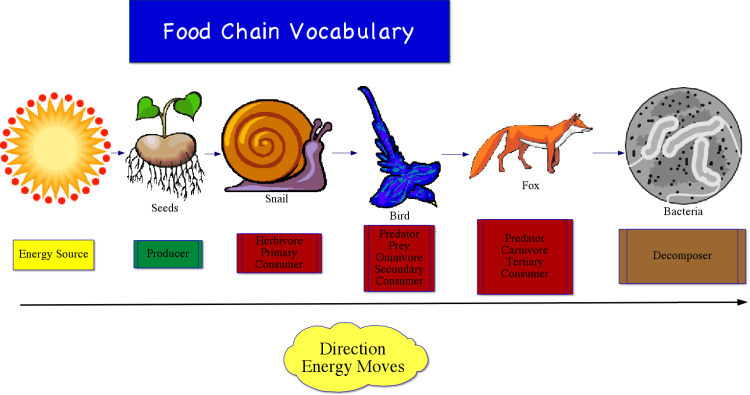 How does energy move through a food web? 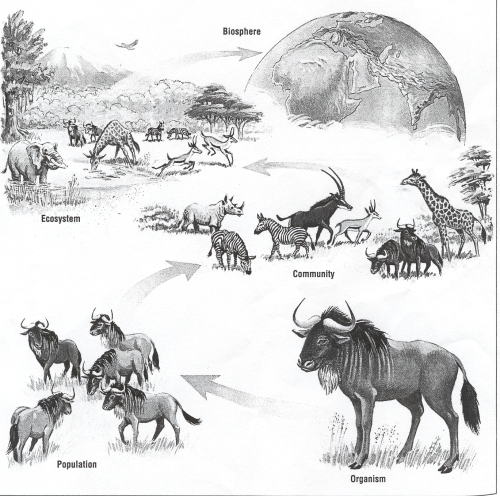 All the food chains in a habitat are put together in a food web to show how the food chains overlap. Energy starts with the sun, then goes to plants and then consumers. 1. 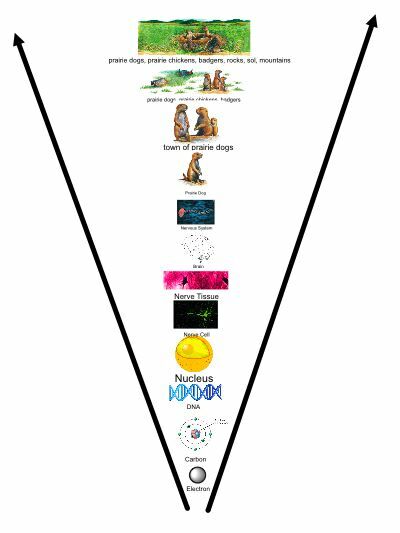 In an ecosystem the producers have the most energy and the amount of energy goes down as you move up the pyramid, the tertiary consumers have the least amount of energy in an ecosystem. 2. 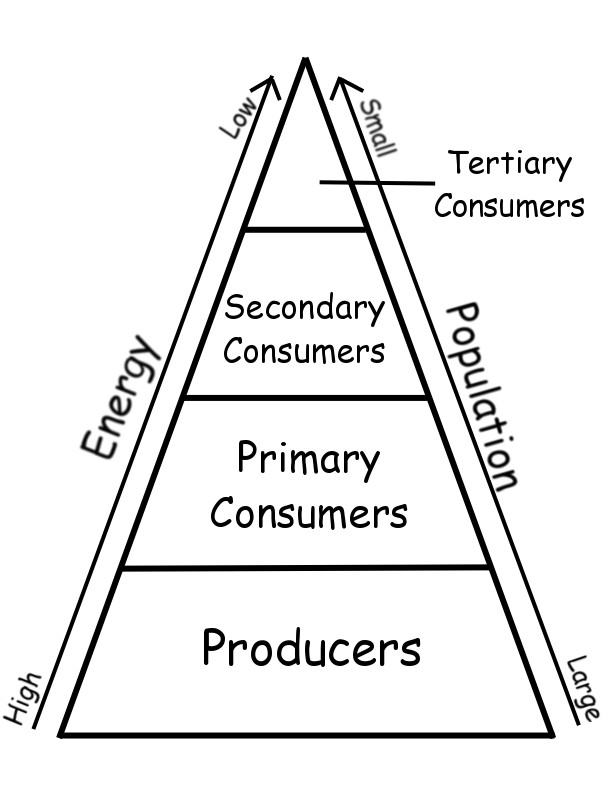 The producers in an ecosystem have the largest population and the size of the population goes down as you move up the pyramid, the tertiary consumers have the smallest population in an ecosystem. How do animal interact in your ecosystem? Coniferous Forest Video password required. What are some adaptations for your animal? Minnesota Zoo: A-Z list of animal facts.